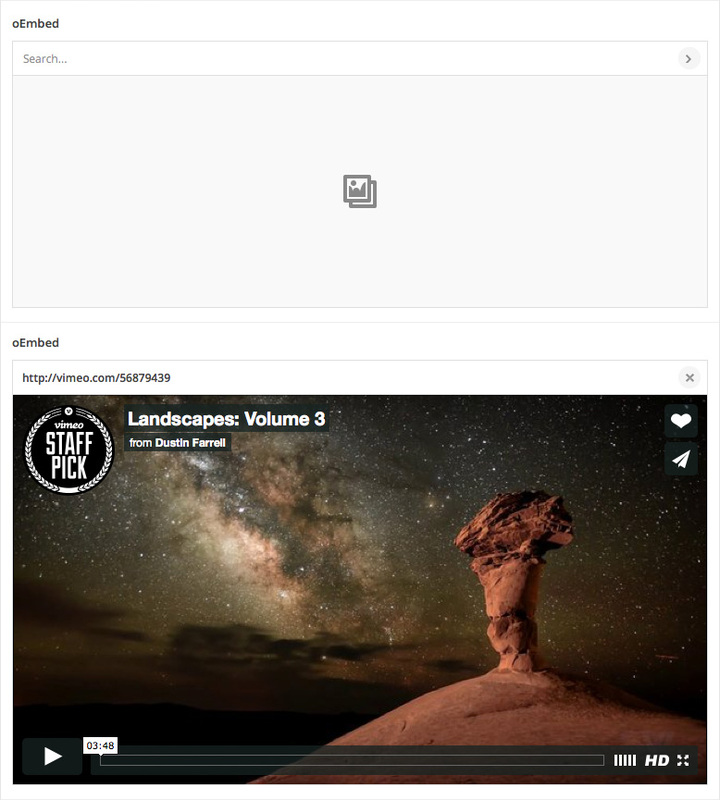 The oEmbed field allows an easy way to embed videos, images, tweets, audio, and other content. This field makes use of the native WP oEmbed functionality. This field type was added in version 5.0.0. 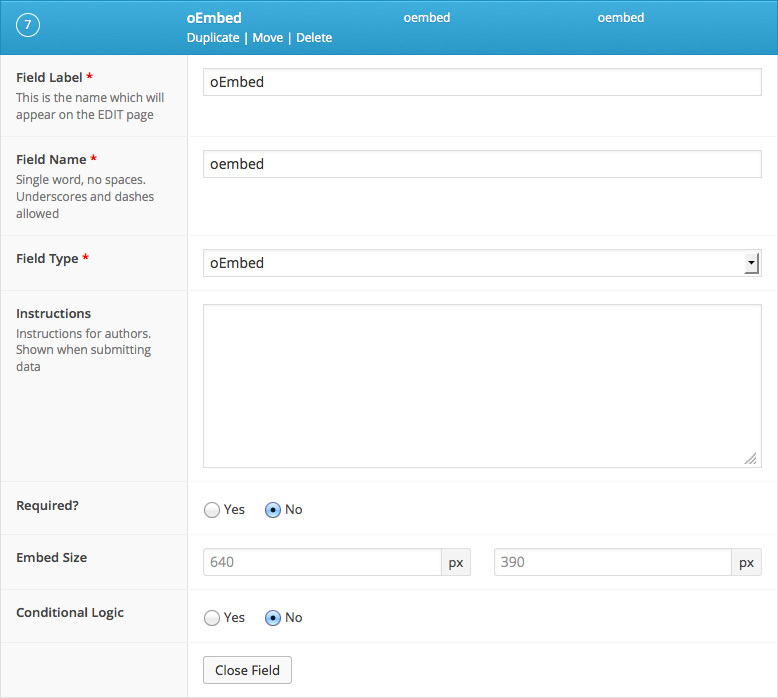 The oEmbed field will return a string containing the embed HTML. Please note that due to the large number of embed providers, no settings are available to customize the embed features such as overlays and buttons. To customize these settings, you will need to perform a search / replace on the string to add additional arguments to the iframe src. This example will display an oEmbed. This example will add extra attributes to both the iframe src and html. Thanks to the work done by embedresponsively.com, it is now possible to make embeds responsive. Please view the website to learn more as each provider may need different CSS settings.